Dragon is a free-flying, reusable spacecraft being developed by SpaceX under NASA's Commercial Orbital Transportation Services (COTS) program. 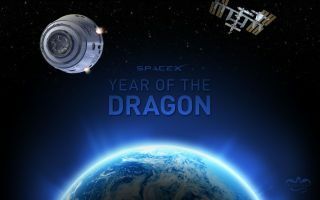 In this space wallpaper, Dragon is a free-flying, reusable spacecraft being developed by SpaceX under NASA's Commercial Orbital Transportation Services (COTS) program. Initiated internally by SpaceX in 2005, the Dragon spacecraft is made up of a pressurized capsule and unpressurized trunk used for Earth to LEO transport of pressurized cargo, unpressurized cargo, and/or crew members.